Black Desert Online started this year off with a blast, giving its game world a massive increase in size by fleshing out the ocean and presenting hints at new continents for future updates. The update, known as Magoria, fleshes out the water in Black Desert, both the surface and what can be found under. There’s something for everyone in this expansion. Amazing places to explore, new crafting recipes to make use of, epic PVP naval battles, more trading options, and much, much more. This review is going to sound like an advertisement for the game, I fear, because there’s really not much to complain about, but a lot of stuff to applaud. I’ve been trying out Magoria (and Black Desert as a whole) since the release of the expansion on the 25th, and it’s finally time for me to relate to you all what I’ve found. By unlocking the ocean, the world of BDO has probably at least doubled in size. And sure, while the waters are content rich, they’re not as detailed or varied as on the land. The rate at which Black Desert is expanding its world is insane to think about, and intimidating for a returning player to embrace. I imagine it will be scary for new players, too. So much content to work through, so much to explore. It feels like you’ll never get to the end of it. And that’s the key of what has made me start playing Black Desert again; I love knowing that the rate at which content is being added to the game completely outpaces the rate at which I can get through it. I haven’t even begun to devote much time to the desert, and now I have an entire ocean to explore, with a new portion of the main continent set to be released in the not-too-far future. There is now a decent amount of content to make the surface of the water a very interesting place, but I personally feel what can be found under is a bit more interesting. Massive creatures swim the ocean who want nothing more than to make you their next meal. I tried hard to get decent screenshots of these creatures that help relate the scale, but I fear I haven’t done them justice. These things are huge, majestic, and scary. For those that like the idea of a challenge and want some adventure, these creatures can be hunted. Trade routes have been added to the game. It’s a dangerous occupation, with large sea creatures and pirates to contend with. You’ll need seasoned sailors who have raised the newly introduced Sailing skill to pilot your guild ships if you want to survive. Lots of new trade goods have been added to Port Ratt and new fish have been added to the Imperial Fishing delivery list. And the massive sea creatures I mention under ‘Life in the Water’ drop important items needed for guild crafting. There’s tons of new stuff. A few new boats were added to the game with Magoria. Namely, the Guild Galley and Traders. Both are difficult to obtain, and both offer fantastic opportunities. Due to my playstyle, the Guild Galley is much more interesting to me with its numerous cannons and capacity for a crew of ten. Traders, also known as the Epheria Sailboat/Sailing Ship, are a personal ship that are geared towards trade. You can hire NPC sailors that give bonuses to various ship stats. An impressive ship, though I would have liked something larger. Of course, I’m looking forward to Guild versus Guild naval battles. Darkfall and ArcheAge were a couple of my favorite games because of the naval components. And, while the naval stuff in Black Desert is quite fun, I will admit that ArcheAge still has the better naval combat (in my opinion). As I mentioned in the ‘Gripes’ section, there are some kinks that I feel need to be worked out before the ships in Black Desert can truly shine. I’m looking forward to further fleshing out of the ships in Black Desert. Not bad for a trading ship, honestly. That’s right, we’ll talk about life IN the ocean. There are several new water creatures added to the game, all quite large and fearsome. On top of that, you’ll find something interesting and worthwhile to explore just about everywhere while underwater. You’ll come across new underwater collectables (such as Oysters), caves that offer hard-to-obtain knowledge, and beautiful Coral Reefs to view. The trick is figuring out how to get to see it all without drowning. Hint: Shark costume, movement speed crystals, and Elixir of Seal are your friend. Also, it’s stupid, but switching channels or switching to characters will refill your stamina. The screenshot doesn't do it justice. So far as I’ve been able to tell, there are six different sea creatures you can take on. The Candidum, the Hekaru, the Black Rust, the Nineshark, and the Ocean Stalker. NPC ships can come after you, too, in the form of Goldmont Small Battleships or the rare Margoria Phantom Ship. If you decide to seek these things out, be well prepared. Also, look out for Hurricanes, a new weather type that can only be found in the ocean (duh). You can be struck by lightning in Hurricanes, so be prepared to heal yourself and friends. Magoria is the sea itself, while Port Ratt is a port city on a new continent, very far North from the lands we’re used to in Black Desert. When you zoom out your map with this update, you’ll get a real sense of how large the world of Black Desert is. You can tell you’re on a globe, and the scale of the effort the developers are putting into this game really shines. The Magoria Sea is a vast expanse that connects faraway lands, while Port Ratt is just a hint at what is to come. You can see just how massive the Magoria Sea is. Larger than all the previous landmasses combined! To get you introduced to the Magoria Sea, you’ll be able to participate in a fantastic questline starting in Epheria. I say fantastic, but there are some hiccups. Some things aren’t explained as clearly as they could be. For example, towards the beginning of the questline, you are told to gather oysters… but aren’t told where the oysters are or what they look like. You would think the oysters are near the place the quest is given, and you would be right. However, they’re hard to spot. I had to use a guide to figure it out. Then there’s the Seal elixirs… After having trouble getting to one of the first quest targets, I asked around and found out about these and it made it a lot easier. Other than stuff like that, the questline is quite fun and a good introduction to the ocean and Magoria. The questline seems to be aimed more at higher levels, and I guess the developers assumed those higher levels would be well versed in the game. Normally they would, but a lot of players are returning to the game after several months absents (such as myself). From a lore standpoint, the questline is an interesting entry in the story of the world, introducing many new characters, some of which I hope to run into again. It’s odd thinking about how well Black Desert does so many different things, questing being one example. Sure, it’s not the best (that still goes to The Secret World), but it’s still great fun if you actually pay attention. Port Ratt is an interesting glimpse at the lands to come. Located at the edge of the land of Haso, Port Ratt is full of Oriental architecture that gives you an idea what kind of place Haso is. Personally, I love oriental themes – I loved the Hirani lands in ArcheAge – so I am looking forward to visiting Haso one day. Unfortunately, I can’t spend much time in Port Ratt as my focuses in the game are more aimed at the mainland. I’ve still got a huge amount of desert content to explore and complete! Now, I do have some issues with this update. Fortunately, they aren’t related to the content. It’s strictly in relation to the controls, and I’m sure these will be polished and fixed in future updates. Or so I hope. Swimming is a massive hassle, partially because it’s simply difficult to do any sort of fine-tune controlling of your character in the water and everything feels quite slow (even with stuff that gives bonuses to swimming). The primary issue with swimming, though, is that there is no auto-pathing. There are huge portions of swimming you have to do in some cases. It would be nice if I could auto-path a swimming route so I don’t have to use the escape feature or get myself killed each time I get stranded in the water. Sure, I run the chances of running out of stamina while I’m swimming my route, but there are tons of places I can swim – especially between islands – that I’m sure my character could handle without running out of stamina. My next gripe is the boat controls. The smaller vessels handle alright – I feel like I’m actually sailing when I take my Fishing Boat out. However, the larger vessels seem to handle in unnatural ways in a lot of cases. Turning on a dime, for example. Maybe it was just a graphical glitch in my end? But I’ve seen it in a video or two. Hopefully that gets fixed. Speaking of my Fishing Boat, though, there’s a 50/50 chance that I’ll have trouble getting off the thing. Once I’ve gotten on the wheel, I sometimes find it difficult getting my camera at that ‘just-right’ angle so that I can hit R and get off the wheel so I can leave the boat. More than once I’ve gotten frustrated and gone AFK for a few minutes. Other than the fact that there’s a new expansion with tons of new content to experience, there are a lot of other reasons to come back to the game. One of the most prominent is the Returning Player log-in rewards. These will give you a MASSIVE boost when combined with any other events (such are regular daily log-in rewards). On that note, there are tons of new things to make grinding a lot faster. 200% experience channels for returning players, 100% weekend events, daily log-in rewards (One offers 200% for thirty minutes or 100% for an hour, and another offers a bonus based on your level). I was able to get level 56 in a very short amount of time thanks to all of these things, which really reinvigorated my will to play the game. I received several tens of millions of stuff between the Returning Player log-ins, the Loyalty log-ins (which are about to end, unfortunately) and my House Fame fund. Literally all I had to do for that was get on and make beer for thirty minutes. Along with the daily log-in stuff giving you some decent money and items worth large amounts of money, there are a couple of other things. Money making from grinding mobs has generally been made a lot more efficient and easier. I can grind on (relatively) low-level Rhutums and easily clear twelve million silver an hour. Not as much as higher-tier stuff, but for the effort and some of the drops (such as Relic shards for boss spawning), it’s well worth it. There is also now a feature where your Family Fame (determined by the knowledge and achievements across your account) gives you certain amounts of money. My Family Fame nets me 350,000 silver a day for simply existing. With all these new and improved sources of income, you can put in a bare-minimum amount of time in the game and still make decent progress, and it’s great! The reason I’m sticking with the game after returning is that the game makes it very rewarding for simply getting on for thirty minutes a day, and I can always spend a couple of hours a day on the weekends to make even more progress. 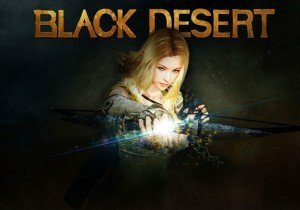 Black Desert Online really did come into 2017 with a blast! The Magoria update adds so much to the game that it’s going to take me much longer than a couple of months to work my way through it all in any detail. All the stuff you can do in the water, from the new trade goods, the new resources that can only be gathered underwater, the massive sea creatures, sea battles… It’s quite amazing. Sure, I have my gripes with some things, but they pale in comparison with all the good that was added. And if you’re wondering if you should return to the game, I’ll tell you right now that the answer is YES! Now is definitely the time to return to the game, with all these new features and tools for returning (or new!) players to catch up, you should get in ASAP and prepare for the next major update which seems to be right around the corner. In short: Black Desert Online: The Magoria Expansion is a huge success.